United Financial Credit Union made the holidays a little brighter for CASA of the Great Lakes Bay Region. 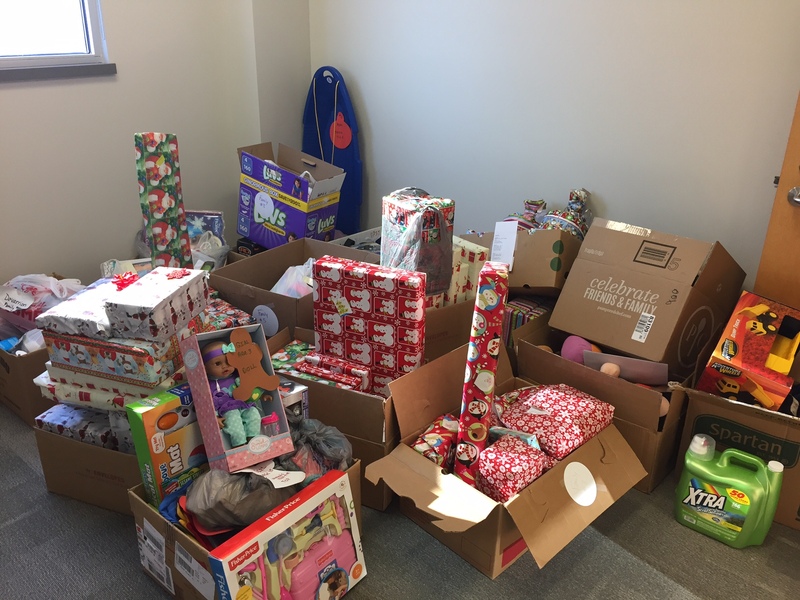 The Credit Union collected items and monetary donations for their 4th Annual CASA Christmas. The Credit Union adopted 15 CASA families and were able to purchase Christmas gifts for them from their wish list. CASA of the Great Lakes Bay Region (Court Appointed Special Advocates) are specially trained volunteers who provide a powerful voice in the court system for children who have been removed from their home because of abuse or neglect. Every child has the right to a safe, permanent and caring home. Yet, according to the Saginaw County Department of Human Services, each year in Saginaw County over 300 children live in foster care or with relatives because it is not safe to return home. Most of these children will end up in court. Their only “crime” is that they have been victims.